Visit the website of Emilio Ambasz. 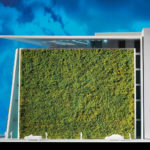 January 21, 2019 3:21 Museum of the Architectonic and Design Arts (MAADU) – Featured Project from Greenroofs.com on the greenroofsTV channel on YouTube. 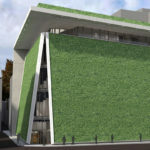 January 21, 2019 Museum of the Architectonic and Design Arts (MAADU) by Linda S. Velazquez on Greenroofs.com. 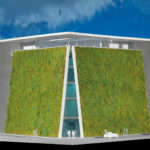 On March 6, 2013, Emilio Ambasz, an internationally renowned architect, a philanthropist and a pioneer of green architecture, donated to the city of Madrid the Museum of the Architectonic and Design Arts, Museo de las Artes Arquitectónicas, Diseño y Urbanismo, or MAADU, with an investment of 15 million Euros. 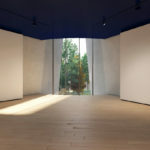 MAADU, an avant-garde space devoted to the work of creative artists, fulfills a desire of the artist and expanding Madrid’s cultural offer, which beat competitors such as New York, Buenos Aires, and Bologna. 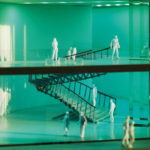 MAADU places Madrid at the forefront among the cities with the best museums of architecture, art and design in the world. 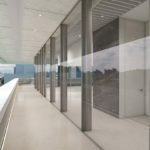 The Project involves no investment by the Spanish government, since the private Spanish foundation Legado Emilio Ambasz Fundación (LEAf – in English Legacy Emilio Ambasz Foundation) will cover the costs of the necessary works for the construction of the Museum as well as for its management, operation and maintenance throughout the 75 years of the concession. 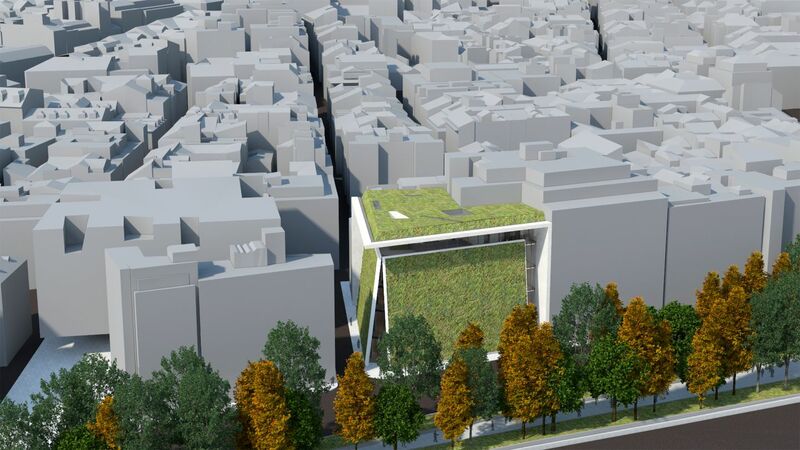 The city of Madrid is the ultimate owner, as it will recover the new building at the end of the 75-year licensing period. 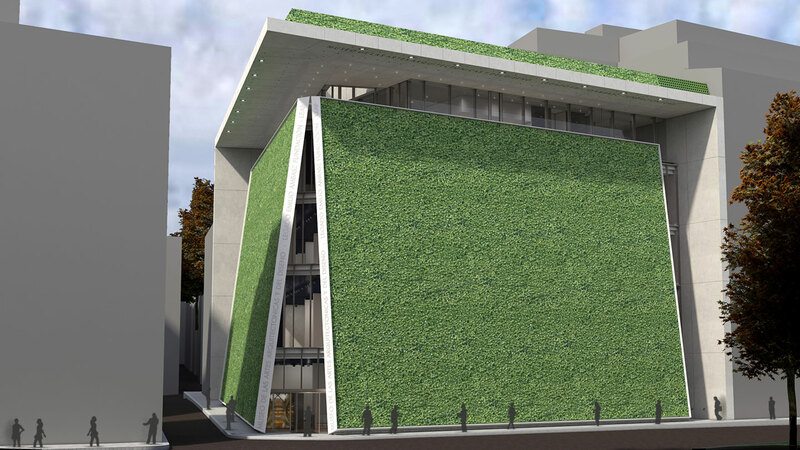 This museum is to be located in Paseo del Prado, 30, the avenue where the city’s most notable museums are situated such as the Prado Museum, the Thyssen-Bornemisza, La Caixa Forum (with its greenwall), and the National Center of Contemporary Art Reina Sofia, among others. 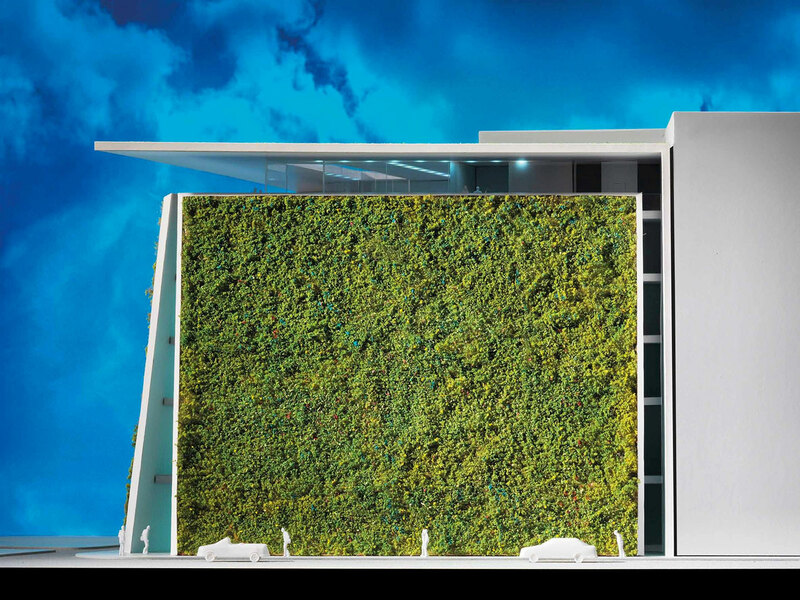 It will house temporary exhibitions and conferences dedicated to the world’s most groundbreaking architects and designers, who believe in the merging of architecture and nature, of which Emilio Ambasz is a pioneer and global ambassador. 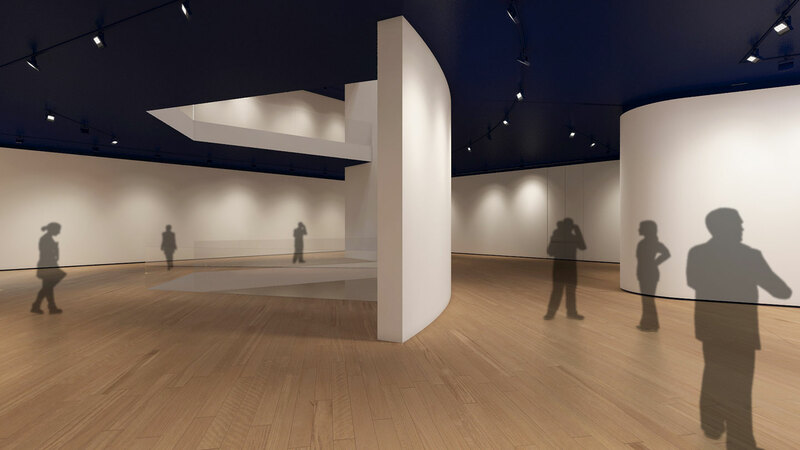 The museum seeks to be a cultural hub and a world leader, celebrating the works of architecture and design, which are also works of art, and to honor those works and objects that touch the heart, not those that are simply sustainable and pragmatic. 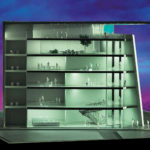 The corner site, a total surface of 800 square meters, has an L shape. 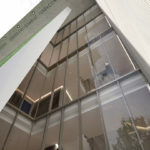 It is located on Paseo del Prado, on the corner of the street “calle del Gobernador.” The MAADU building will have 3,600 square meters on five floors plus basement. 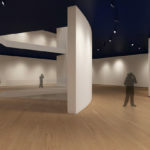 All floors, except the tallest one that will contain administrative offices and a restaurant, will be dedicated to temporary exhibition spaces. 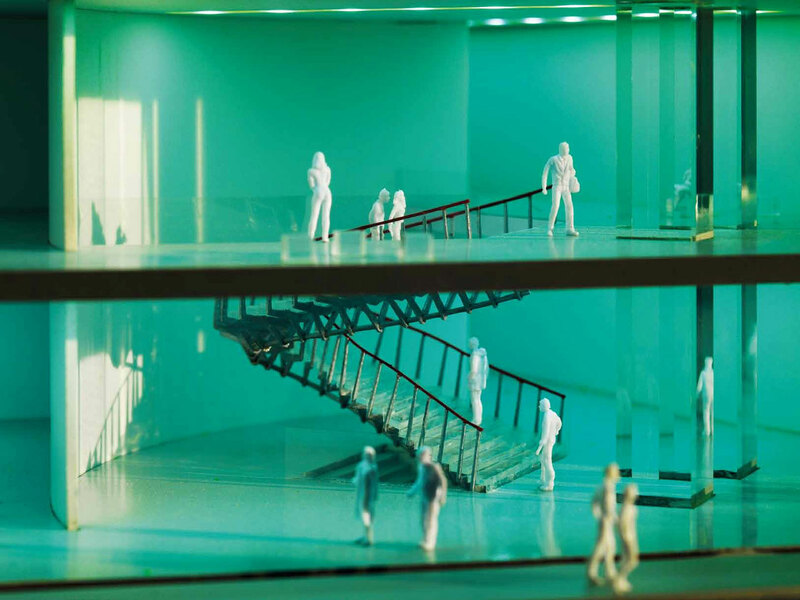 The basement will host an auditorium as well as the mechanical installations of the building. 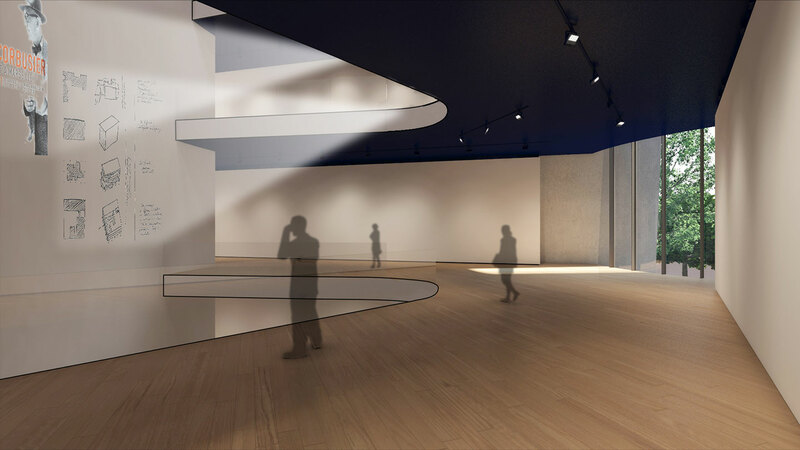 This museum will comply with all the requirements imposed by the COAM (Conferences of Art Museums) to be approved as a museum of first level by such. 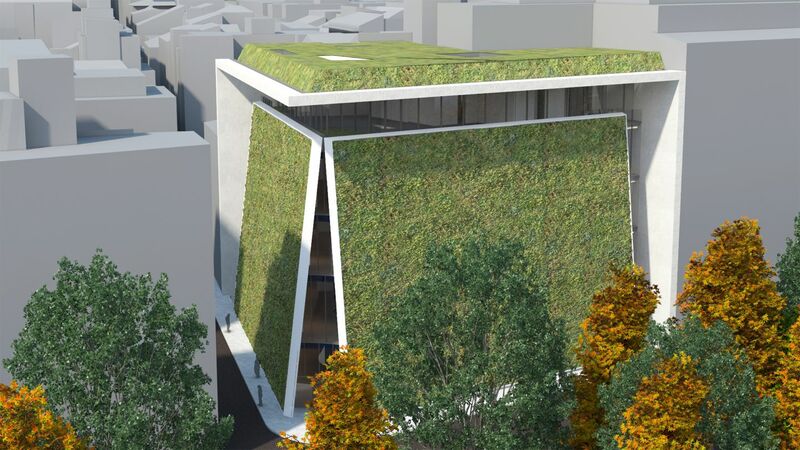 The entrance to the building will be defined by two inclined rectangular planes, covered with vegetation, which will be “touched” by their vertices. 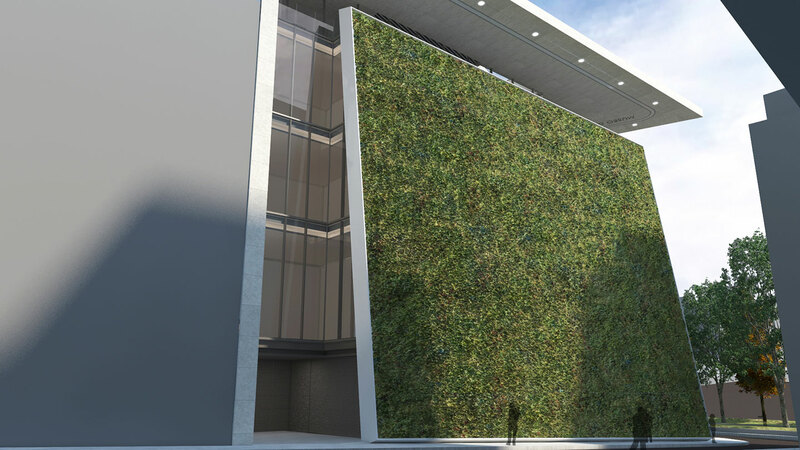 These two planes, essentially the facades of the building, will be constructed of reinforced concrete and will constitute also the supporting structure of the building. A very advanced irrigation system and also a sophisticated system of fireproof prevention will ensure the safety of the building. 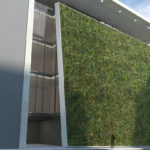 The building is oriented towards the south and this vegetal layer of modular panels will insulate the building, considerably reducing the effects of heat and cold. 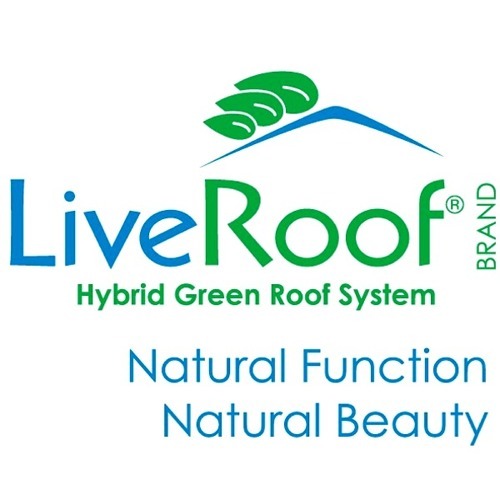 The roof will also be covered with vegetation. 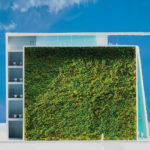 This vegetation, in addition to reducing the thermal load on the building in summer and winter, will also absorb rainwater, thus drastically reducing rainwater discharges in the already overburdened sewer system of the city. 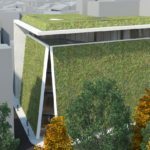 The two facades will present close to 1,230 square meters (13,240 sf) of greenery, and the roof will be covered with close to 870 square meters (9,364 sf) of greenery. 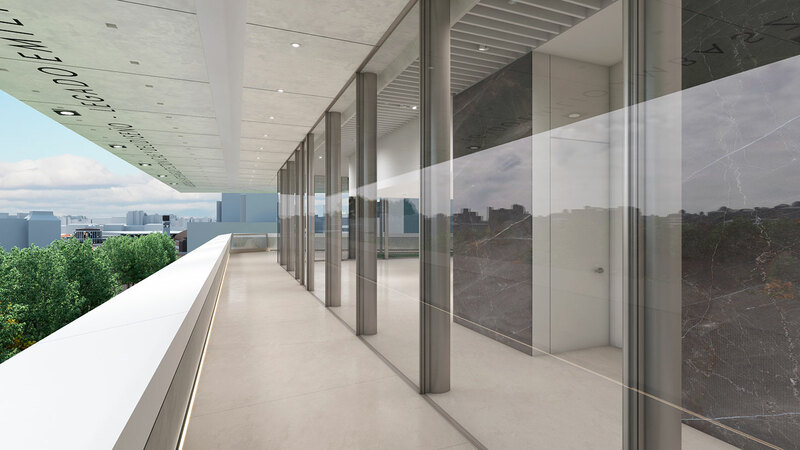 Three large windows, on each of the facades and on each floor, will help guide visitors with respect to the urban context as well as allow them to admire the Botanical Garden and the Prado Museum, located on the other side of the boulevard. 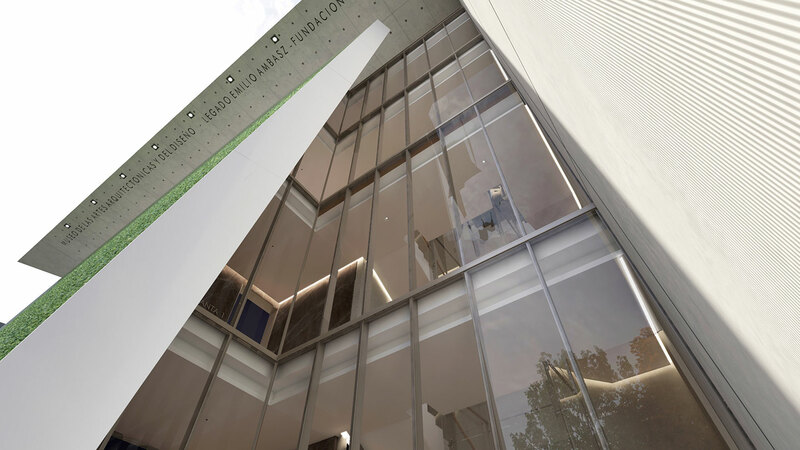 The new building’s design is in line with the style developed by Emilio Ambasz throughout his expansive career; the space will be open to the public, sustainable, modern and soulful, a place where new technologies will play a fundamental role. 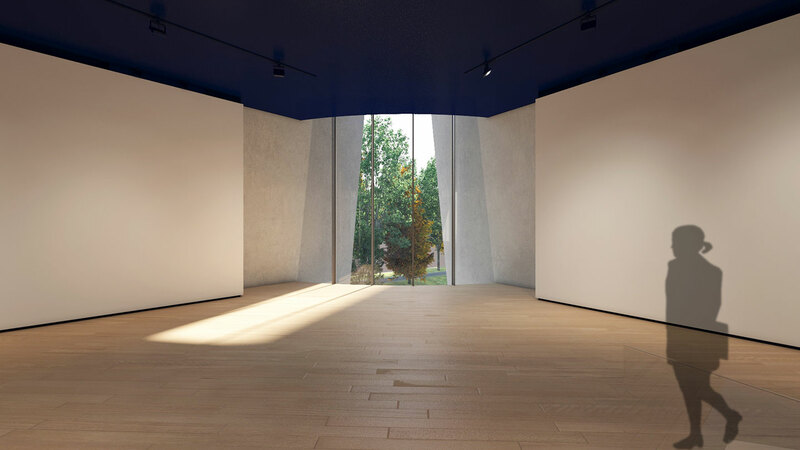 The advanced exhibition spaces of the MAADU will also have a virtual library, architecture and design temporary exhibition rooms, spaces for conferences and symposiums and an excellence scholarship program and annual prizes. 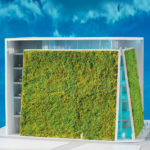 There will also be cooperation agreements with the world’s leading universities such as Princeton University, where Emilio Ambasz graduated in just two years as an architect, and museums such as The Museum of Modern Art (MOMA) in New York, where Ambasz worked as architecture curator from 1969 to 1976. 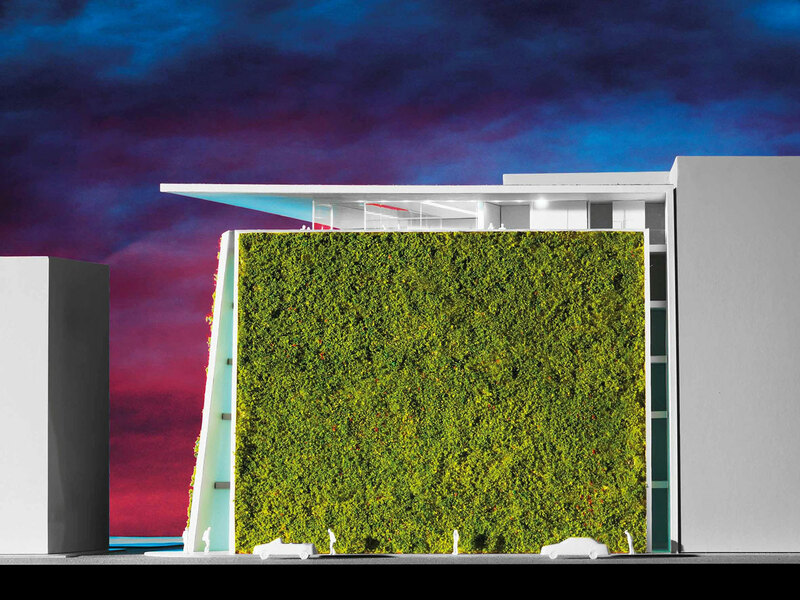 The programs will give priority to architects and designers who transcend the limits of art and the traditional concepts of architecture and design to reach the visitor’s heart. 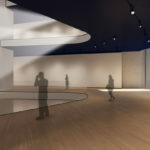 The Museum will boost tourism to Madrid by extending the city’s cultural offer with a new, cutting-edge cultural space on its ‘Golden Walk of Art’ boulevard. 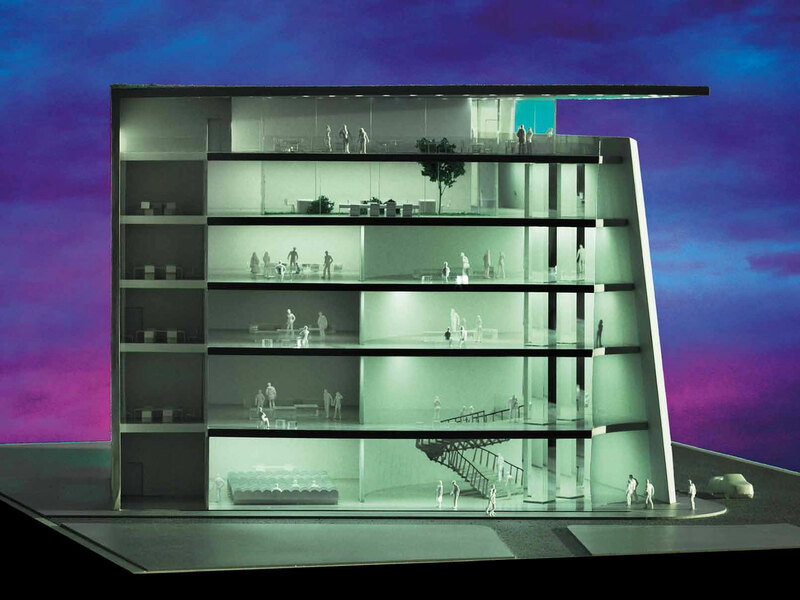 The MAADU project is pending permissions. 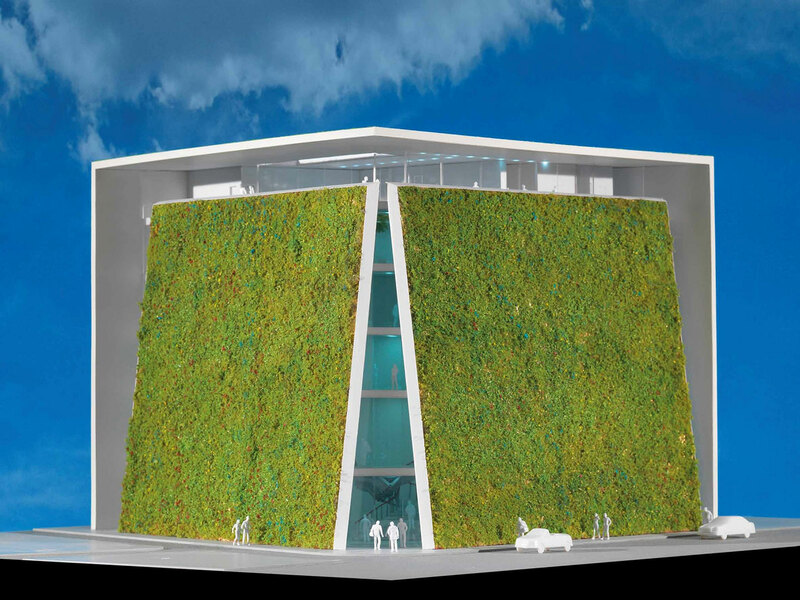 The Museum of the Architectonic and Design Arts project represents the merging of nature and architecture, which is one of the pillars of Ambasz’ work. Concern for architecture and landscape is reflected in all of his projects: the presence of light, the whisper of water, the manipulation of perspective and the human use of space to generate feelings of hope and tranquility. 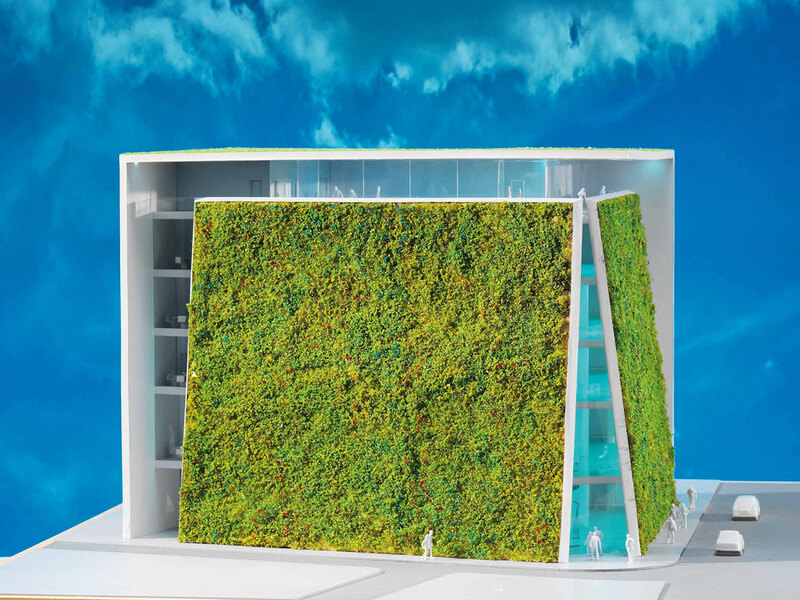 Ambasz’s architecture embodies a celebration of architecture reconciled with Nature. 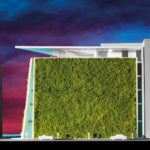 His inventive architectural designs use a technique he calls “the green over the gray,” where architecture and landscape combine to achieve a higher density of profitable land use, while providing extensive interior and exterior public park areas. 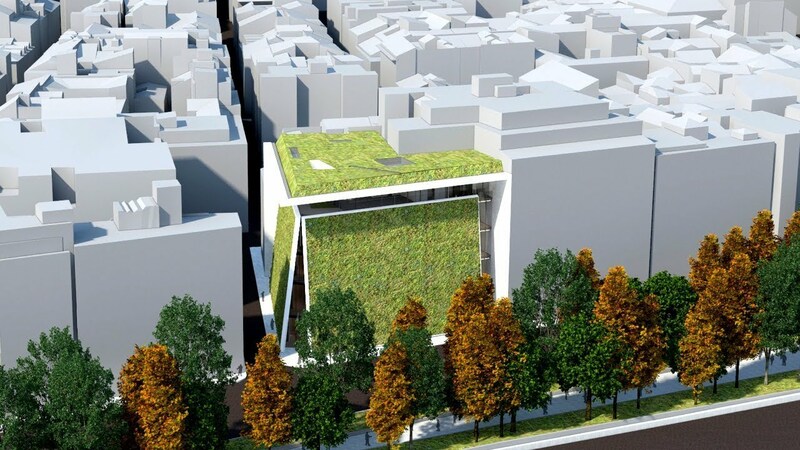 This innovative extension of garden areas is what has made his architectural designs so influential. Paramount in his work is the search of returning to the community, in the form of gardens and parks, 100% of the land the building covers. 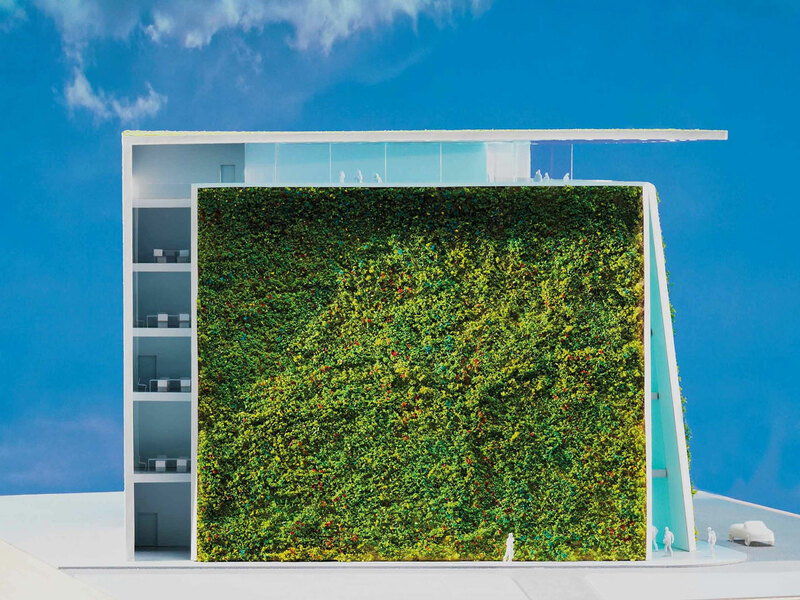 Instead of a house in the middle of a garden, Ambasz’ architecture proposes different ways to have both the house and the garden, 100% of one and 100% of the other.